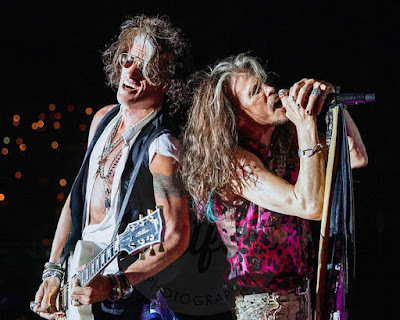 Aerosmith have cancelled the final four shows of a South American tour after Steven Tyler was forced to deal with “unexpected medical issues” on the advice of his doctors. “Steven Tyler is seeking immediate care and has been advised by his doctors that he cannot travel or perform at this time,” said the Boston band in a statement. “Therefore, the last four shows of the South American tour will be canceled. The affected dates include stops scheduled over the next two weeks in Curitiba, Brazil (Sep 27); Santiago, Chile (Sep 30); Rosario, Argentina (Oct 3); and, Monterrey, Mexico (Oct 7). "To everybody in South America....Brazil, Chile, Argentina and Mexico... I'm very sorry and feel like I've let you down,” says Tyler. “I won't be able to continue the last four shows of this tour. I flew back to the US on doctor's orders last night after the show in São Paulo. Please not to worry... I am not in a life threatening condition, but I need to deal with this right away, and get some rest and medical care immediately in order to sustain and maintain my future performances.